Please complete ’Forms’ in Academy Handbook 2014-2015 . The Santos U9 Benfica team, lead by the inspirational Coach D, easily made their way to the finals. Unfortunately, it was not meant to be their day as they fell short in waning seconds of the game. With their boats water logged, jerseys torn, and heads held high, the boys knew that next time victory would be theirs. Well done boys. Well done. 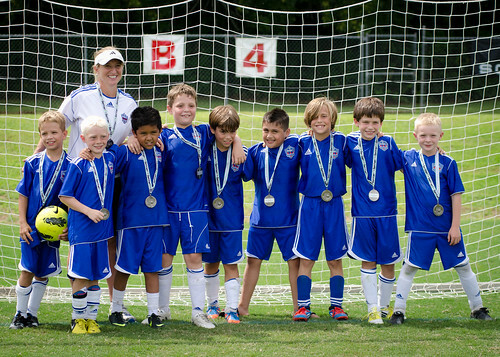 Roswell U9 Maritimo went down to the Triumph 3v3 tournament and came back champions! They made short work of the competition during the early rounds then won a hard fought game against NASA in the championship. Fantastic work boys! We are sure this will be the first of many championships to come.